We, DNS Accountants, are a futuristic group of chartered accountants and tax accountants in Stanmore. With our expertise in helping private clients, owner-managed businesses, freelancers and contractors across a wide range of sectors, we deliver taxation, financial advisory and consulting services to our valuable clients throughout the country, including Stanmore. We are a professional firm offering accountancy services to both business and individuals in and around Stanmore. 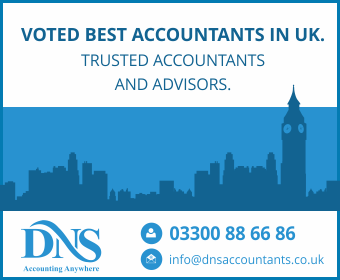 Our people at DNS Accountants work across more than 15 industry sectors with a prime focus to deliver measurable and lasting results. Our qualified team of chartered accountants at finchley road aim to offer a local, competent, and cost effectual service to businesses and private clients. We are already helping people in need of Pensions, Auto Enrolment, Personal Insurance, Mortgages, Basic Accounting or Business taxation/accounting, etc. Our clients count on us to help them transform uncertainty into possibility and opportunity from even the unforeseen obstacle. Statutory Accounts – It is the fundamental duty and legal commitment of any company registered at Companies House to prepare and submit annual accounts. Our expert team of accountants at Stanmore, guide clients at every step and ensures complete transparency right through the process. Accounts Management and Business Plan – Our accountancy firm in Stanmore pay attention to detail to all financial matters and offer an expert accounts management and information service. Corporation Tax – Our tax accountants’ deal with corporate tax affairs for the clients, to include compliance & reporting. Corporation tax can take up a substantial part of businesses’ trading costs, with harsh penalties for businesses that fail to pay the right amounts. Beginning 1 April 2016, the rate of corporation tax is 20%. Our tax accountants take away the administrative burden by providing a number of vital support services. Self Assessment and Tax Return (Income Tax) – Our tax accountants in Stanmore help many businesses, individuals and sole traders to complete their Tax returns on time and take necessary steps to minimize the tax exposure once earnings go above the NIL tax rate threshold. Tax Investigations And Disputes – It can be hard to settle disputes or handle investigations arising from either HMRC investigations or employment concerns. With years’ of experience in dealing with tax inquiry and investigation, our Chartered Accountants and Tax Accountants in Stanmore, maidstone and rochester, can help businesses resolve any investigations they are faced with and avoid legal action in disputes. Online accounting solutions typically are responsible for maintaining and managing the firm’s financial records such as receipts, payroll, accounts receivable, accounts payable etc. to keep an account of the flow of funds in the business. They provide answers to questions like – What is the current inventory? What records exist for receipts, payroll and other fund flows? The management uses accounting systems to establish long-term investment goals for the business and to oversee and control the financial resources of the business. Nomisma Solution, our cloud-based accounting solution is programmed to meet the needs of small businesses, freelancers and contractors. Nomisma is a very economical and fully integrated solution providing bookkeeping and taxation management including Value Added Tax (VAT), payroll and filing. DNS Accountants – accounting firm in Stanmore, provide specialized accountancy and tax services that are adapted to the personal and business needs of small-businesses, freelancers and contractors. Our chartered accountants and tax accountants focus on providing dedicated and professional services to all local businesses and individuals operating in Edgware, Pinner, and Harrow.